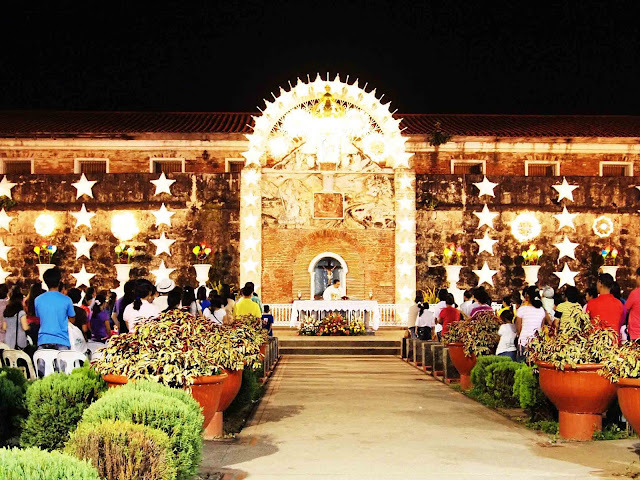 Built on the eastern wall of the Real Fuerza de Nuestra Señora La Virgen del Pilar de Zaragoza (Royal Fort of Our Lady of the Pillar of Zaragoza) in Zamboanga City is a Marian shrine. The shrine, built in 1734, is a popular pilgrimage site to both Catholics and Muslims living in the city (I've seen Muslims offering candles in the shrine). The Virgin Mary is said to have save the city from a tsunami in 1897, after an devastating earthquake. Zamboanga City celebrates the Fiesta Pilar in honor of the Virgin every October 12.